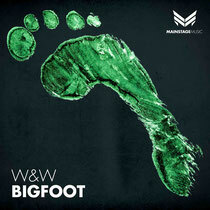 Dutch DJ/producers, W&W, get set to release their next production, ‘Bigfoot’, out 10 February on Mainstage Music. The track is a sound that builds with pounding synths before it cracks under the weight of a huge drop. ‘Bigfoot’ marks W&W’s first release of 2014 and continues on from 2013’s success that saw then reach #14 on the DJ Mag Top 100 DJs poll. From #1 chart-positions on “The Code,” collabs (including “Jumper” w/ Hardwell), remixes (highlighted by Armin van Buuren ft Trevor Guthrie ‘This Is What It Feels Like’ ” and the Mainstage Radio show, W&W continue to build their fanbase. Keep an eye out in the coming months for info about new W&W releases and North American tour dates.